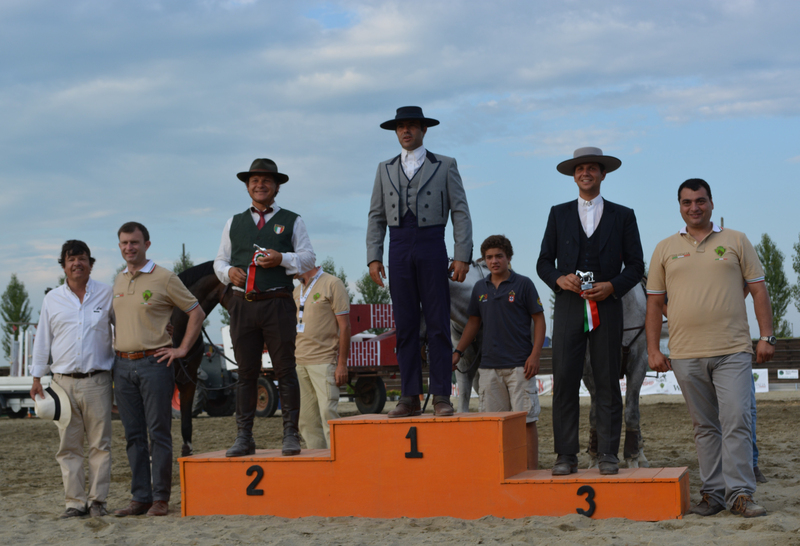 The Working Equitation in Italy was born in 1996 and since then it has recorded an outstanding enhancement as the insiders worked in respect of the traditional principles, thus encouraging a type of promotion which in the years got to such excellent level which can be demonstrated by the results, shown below, in International competition. The Working Equitation is at present time managed and promoted by the S.E.F.Italia which being associated to Ministero del Lavoro delle Politiche Sociali e Tradizionali, is in charge of the planning and management of all activities related to the Working Equitation. Young Horses; Juniors; Amateurs; Open and the Pony category, which was added in Italy in the last years. In Italy approx 500 riders practice the WE in the different categories and specialities, besides approx. 80 riders in the Pony category. Regional and National competitions are organised in the different regions over the Italian territory. The Italian Team has always participated at International events, succeeding in getting medals (gold, silver, gold) both at team and individual level.